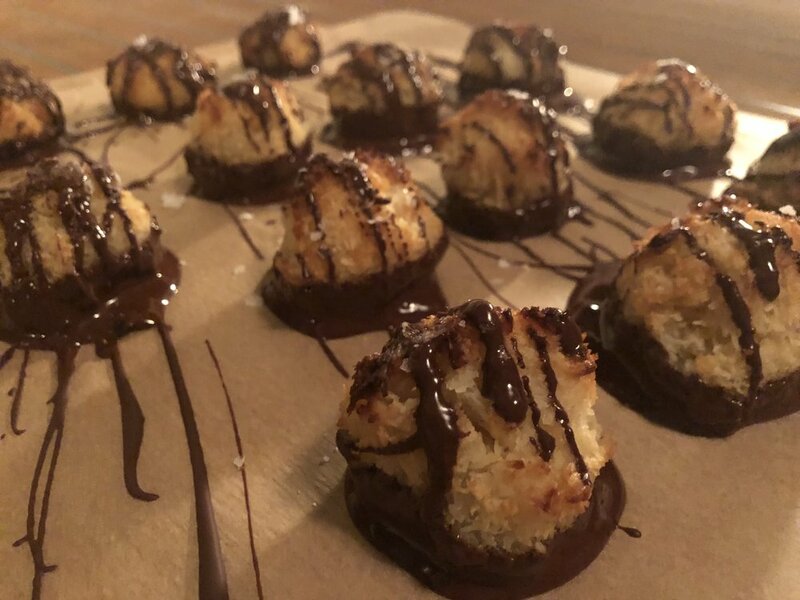 You will die over these healthier Chocolate Dipped Coconut Macaroons!! So fluffy and dense and perfectly delicious! They’re refined sugar free, low glycemic, gluten free, and paleo friendly!! Whip the egg whites until it they start to bubble. Add the salt and melted butter. Continue to whip until fluffy and white and peaks are firm. Fold in the agave and shredded coconut. Form 12 round mounds on a lined baking sheet. When finished baking, set aside on a cooling rack. Melt your chocolate in the microwave for about 1 minute and 30 seconds, stirring after the first minute. Add the coconut oil and warm the chocolate until smooth and drizzly. Dip the bottom of each macaroon into the bowl and place them on a piece of parchment paper. Once they are all dipped, drizzle the melted chocolate on top of each macaroon. Pinch a sprinkle of sea salt on top of each macaroon. Place in fridge or freezer for about 5 minutes to allow chocolate to harden. Who doesn't love brownies? The only thing that makes these taste even better is some good red wine. We paired with a bottle of 2012 Barrolo. 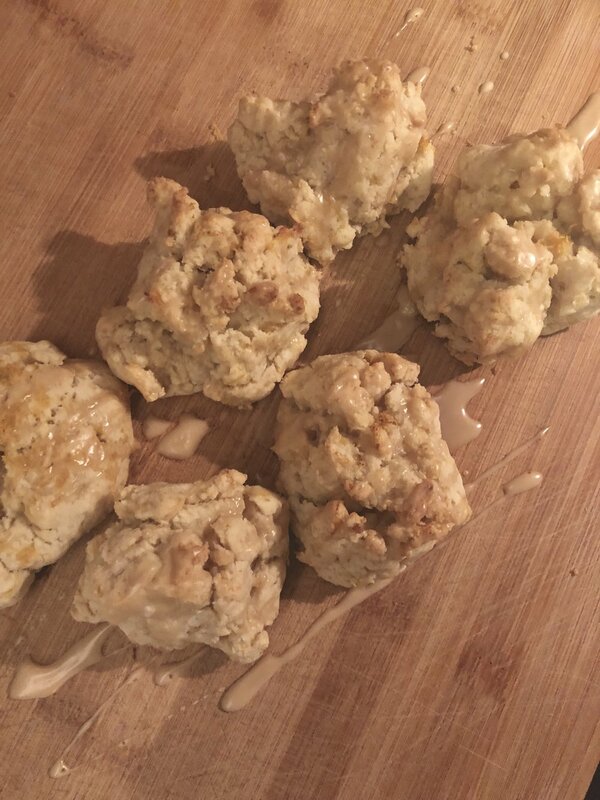 Yea, it wasn't terrible :) These are gluten free and have the option to be made with natural sweetener, no peanuts and free of dairy. I made a few adjustments but recipe adapted from chocolatecoveredkatie! This is an easy crowd pleaser and chef pleaser (is that a thing?) 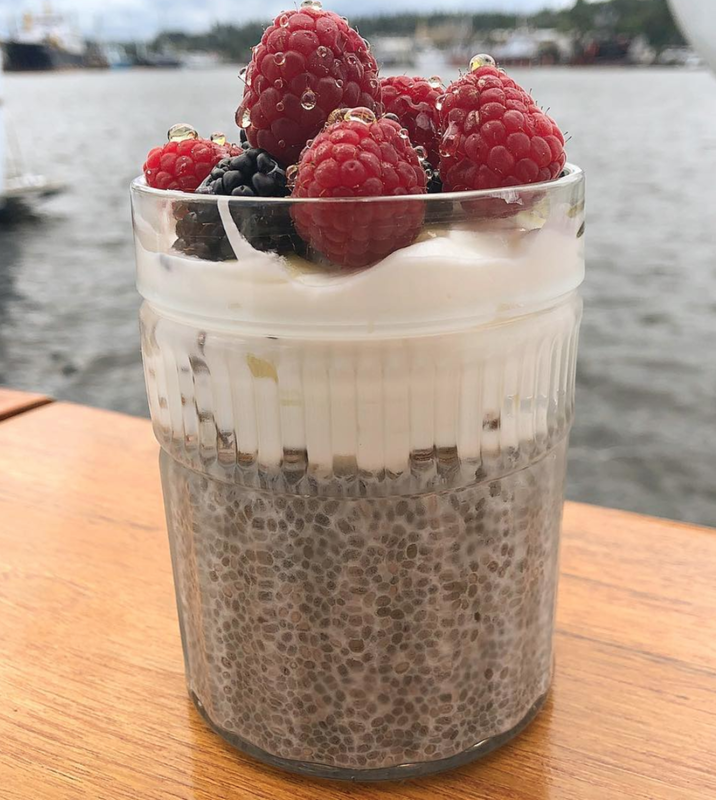 It's so easy to make, refreshing and nutritious which makes this a dessert I'll keep coming back to this summer! Happy Seafair weekend Seattleites!